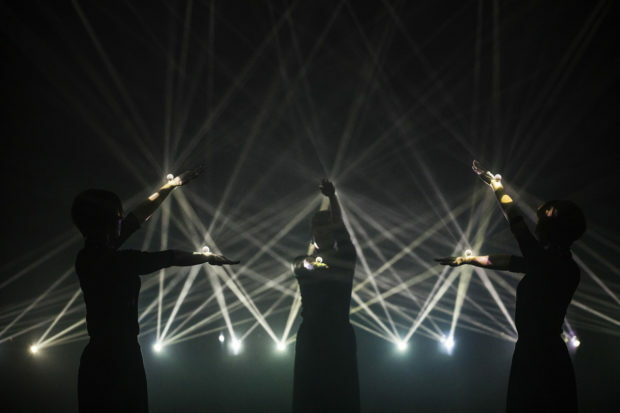 Daito Manabe is programmer, interactive designer, composer, DJ, performer, active in a number of collaborations of different nature, such as the Elevenplay dance company, or artists Nosaj Thing, Squarepusher, Falty DL or Ryuichi Sakamoto. 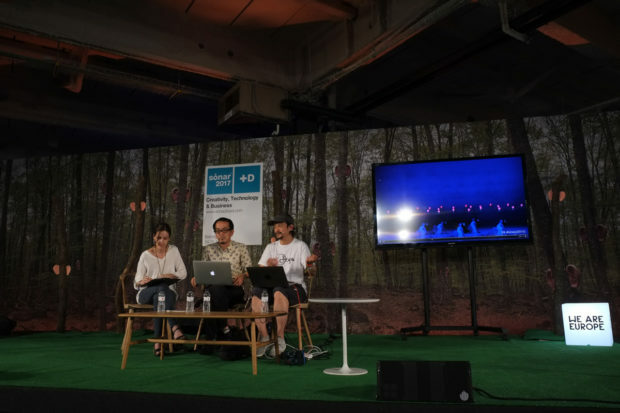 Manabe, with his polyedric and inspiring charisma, talks about his creative world and his recent experience at the Sónar Festival where he was author of the interactive design work phosphere, commissioned by SonarPlanta in a conjunct initiative with Sónar and Fundació Sorigué, and he was protagonist, on stage, performing with Nosaj Thing that left the public breathless. Elena Giulia Rossi: What are your Masters, your readings, your sources of inspiration? 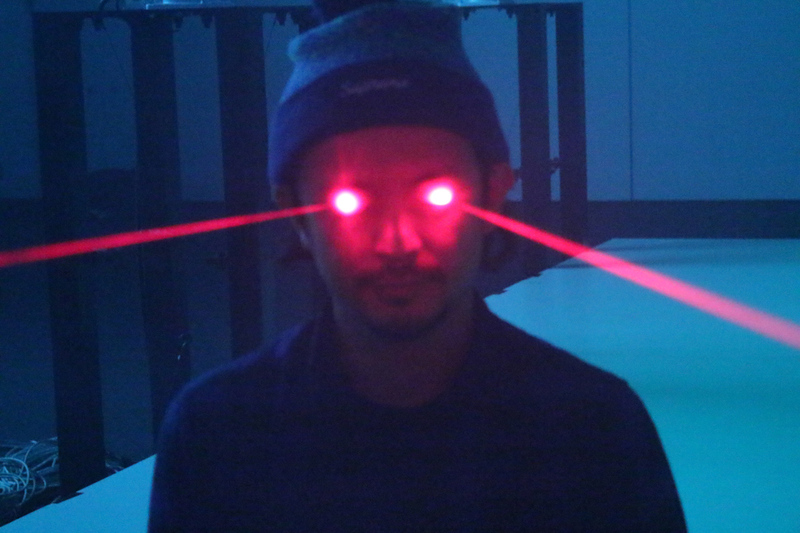 Daito Manabe: I’ve been inspired by a number of collaborators and figures in the community, including Golan Levin, Zachary Lieberman, Elliot Woods, Memo Akten, Yugop, Kyle McDonald, MIKIKO, and Motoi Ishibashi. I’m also an avid reader across a wide variety of genres. My specific sources of inspiration vary depending on the project. To give one example, in the context of my collaboration with Nosaj Thing introduced at Sonar, I was inspired by his music. 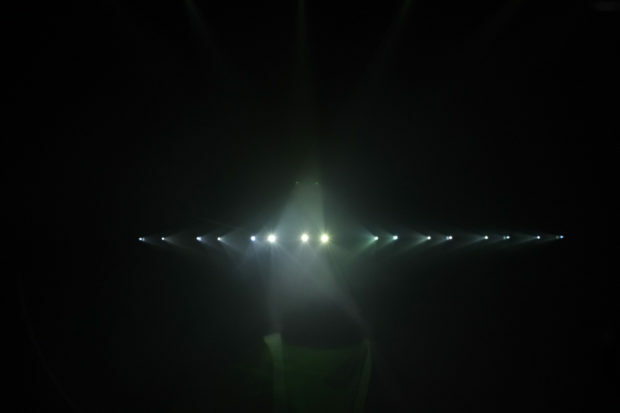 In the case of Phosphere, I was interested in the concept of three-dimensional space created by light. For Border, I wanted to explore inhibitions and incompleteness inherent in VR to probe the boundary between reality and virtual reality. In 2006 you founded Rhizomatiks in collaboration with Motoi Ishibashi. What is the secret for a successful collaboration? I think it’s important that you collaborate for a long period of time in order to get to really know each other on a deep level. In that vein, you always have to be modifying your relationship so that the collaboration is still engaging for both parties. Increasing workflow by collaborating on even more projects is another way to go about it. You worked with Festivals as well as with private firms, but also with dance companies and artists, such as Björk. How important is for an artist to build different kind of collaborations? Depending on the form and shape of a given project, there are instances where you might need to handle everything yourself in order to make a solid, convincing piece of work. In my case, I can competently handle the music composition and DJ aspects all on my own. I believe this is one valid approach. You don’t always have to be collaborating with someone. Even so, if you want to perform on a higher level while still working alone, you might buy new instruments or plugins, which could in a sense be said to constitute a form of indirect collaboration with a given technology and its developers. When working on projects that incorporate technology and the media arts, I do learn a lot of unexpected things through collaboration with experts in their respective fields. Collaboration can be very beneficial, in that you may end up building something that you didn’t expect or even realize was possible. Do you believe in the dialogue and synergy between profit and no profit? I don’t think an artist should ever do commercial work unless it were absolutely necessary for the sake of financial stability. In a best-case scenario, you could support yourself through art and still have enough money to throw at a project. I wasn’t so lucky, and had a hard time when I was first starting out. As an initial platform to produce artwork, I launched a company with some friends that handled advertisements and web design. My job was to provide art and ideas to the advertising team. This ended up helping me later on in my career when I worked with Kaoru Sugano, MIKIKO from ELEVENPLAY, and Perfume. They are all in the commercial entertainment and advertising sector, but we still found common ground, and I felt they really understood my mission. I’m fortunate to have collaborated with them, as they opened my horizons to projects that I wouldn’t have considered otherwise. This has allowed me to execute projects I never would have been able to realize had I existed in the art world alone. When you’re putting on massive performances (on the scale of the Olympics Closing Ceremony and shows with 60,000 person audiences) it’s very different from staging a small theater performance, and there are many things to learn from the process. Can you talk about the commission you just realized for the Sonar Festival and your dialogue with SonarPLANTA and Fundació Sorigué? Emphasis was primarily placed on how to flesh out the concept. Ultimately, we looked at geometric shapes embodied naturally in mineral ore, and decided to pursue a geometric concept as created by human movement and technology. 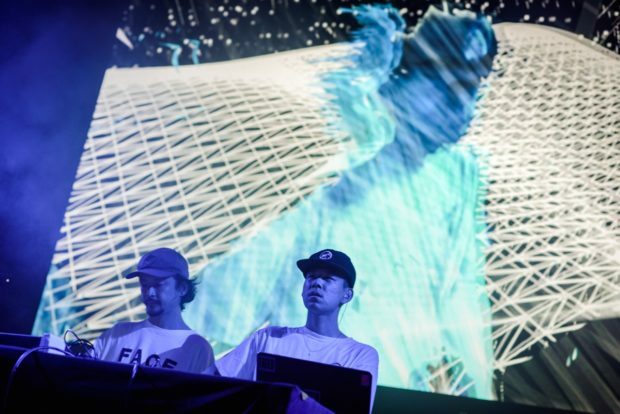 At Sónar + D you also performed on stage with Nosaj Thing in a amazing show. Can you tell us more about your ideas about the future encounter of man and machine, at the core of the Festival’s theme, but also of your visual-sound-algorithmic vision? No matter how much machinery and algorithms advance, you can always re-motivate them creatively in service of a new idea. That process is a lot of fun. I think it’s going to become more important that humans have better faculties of judgement when inputting information. Craftsman-like output is going to fall by the wayside. 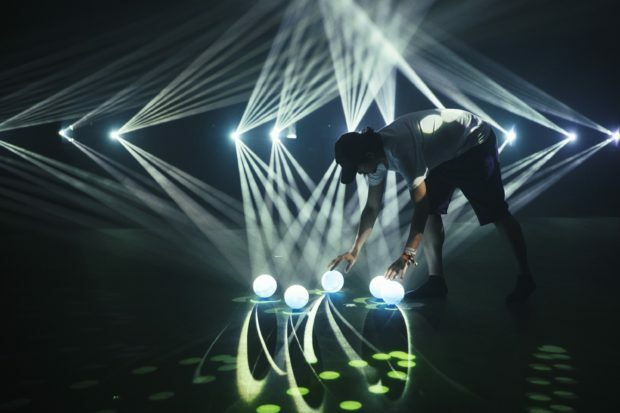 In the musical realm, you’ll no longer have to be able to play an instrument. AI is going to compose all sorts of new music for us. In the next era, it’s going to be all about foresight and rational judgement, the ability that makes us determine whether something is truly good. Most of your work is performative, thus, ephemeral. How much importance you give to the archive? Between the tangible (entity-oriented) and intangible (situational) aspects of a project, I would have to say that I’m personally interested in the latter. For me, a project is a comprehensive undertaking, and the focus is not on the finished physical product alone. I’m interested in the process that leads to and is reflected in a performance. There’s a strong situational component, and I want my work to explore and express the implications of what is actually happening in a piece. As such, the archive is nothing more than a means to document and serve as testament to fact. If you’ll check out my YouTube, you’ll see that the I don’t edit past performances for archival purposes. They’re uploaded in full as one long, single shot. What is your relationship with technology as a creative medium? I think it takes a long time before programming becomes natural to the extent that you feel like a painter with brush in hand. Program has to become almost an extension of your own body, but it takes time. The same applies to mathematics. Counting numbers and calculating surface area are all physical experiences. However, once you start dealing with non-Euclidian geometry and spaces greater than 4-dimensions, it all becomes extremely abstract and difficult to comprehend. Once you start to handle these abstract concepts in a very physical way. I think that it becomes possible to truly and uniquely express yourself for the first time.